Did you see Jack Skellington with a pirate sword fighting someone from Aladdin? That was pretty awesome. It’s pretty neat how multiple Disney characters can use the environments to fight foes. Players can also use a variety of ranged attacks like Buzz’s lightbeam to Wreck-It-Ralph’s gigantic hands for melee. 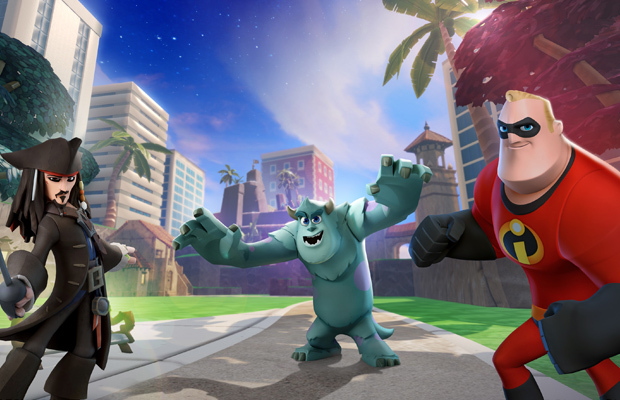 Disney Infinity will be out on August 18 for Xbox 360, PS3, Wii, Wii U, PC and 3DS. You can pick up a Starter Pack with three characters. Let us know what you think about the trailer below in the comments or post on our Facebook or Twitter.